Many of my customers have heard about the cloud and asked me to explain what it means so I hope to demystify the subject a little and give you some clear information on whether or not it would be useful for you to use. Broadly speaking if you use the cloud you are accessing an online computer storage service (by online I mean over the internet). This could be to store and share photos for the home-user or for a business, it could be to run and maintain back-ups for your company computers. The idea of cloud computing (accessing computer resources online) has actually been around for quite some time but has gained popularity in recent years along with faster and more efficient broadband connections. So would it be a useful resource for you and how easy is it to use? It can help keep your files safe. Storing your files online is a really important consideration; if everything is currently stored on the hard drive of your computer at home, what happens if there’s a flood or a burglary or the hard drive just stops working? By using an online storage provider such as Microsoft OneDrive to store your backup, your files would be safe and easily recovered when your computer was repaired or replaced. For the home user the good news is that if you only need a small amount of storage space you can access the cloud for free; charges only apply if you need more than the free allowance available which is usually 2-5GB. You can access your files where-ever you are. Not only is the Cloud a safe way to back up your files, it also means you can access them from anywhere in the world at any time via any device with an internet connection. 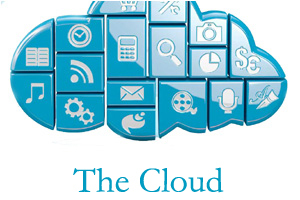 With Cloud technology, you can share information. Cloud storage is a great way to share files with family, friends or business colleagues. No need to send the photos of that family reunion by post on a CD or memory stick. If you use a service such as Dropbox you can upload your photos and invite your chosen contacts to view them, they’ll be able to see the photos wherever they are. If you have a smart phone and you use it as a camera, your photos can be sent straight to your cloud based storage and shared immediately. Modern cameras also have wifi connectively to upload photos as soon as they’re taken when they’re online. There is the risk that unauthorised users might gain access to your information. You are dependent on the provider of the Cloud services you access – in the very unlikely event that their server ceases to operate, you run the risk of losing all your information. If you happen to be somewhere without a broadband connection you won’t be able to access your files. There are many companies offering Cloud based storage with a variety of plans both free and paid for, so when you know how much you will want to store online you can choose the plan that suits your needs. If you decide to use Cloud storage to back up your files, it is always a good idea to have at least one more copy of them stored safely elsewhere such as an external hard-drive and remember to use strong passwords for your Cloud accounts. You would then be able to log into the online folder from where-ever you are and see the files you’ve stored there. For many people this is still a new concept and can seem difficult to imagine at first, so if you’re interested to give it a try and would like some help – please get in touch. If you would like me to visit and advise on setting up Cloud based storage, give me a call on 01452 506529 or send me a message via my contact page.